On Monday night, when we got back from dinner at Talula’s, a fantastic new joint on Cookman Ave with impossibly light and crisp pizzas and chewy, homemade sourdough bread appetizers (we got the meatballs, which were the height of perfection), we were pleasantly surprised to find the next morning’s menu taped to our bedroom door. At the top of the list were my favorite coconut chocolate chip scones, but also a scramble with peppers and tomatoes and avocado and chorizo, and a summer berry breakfast cobbler. 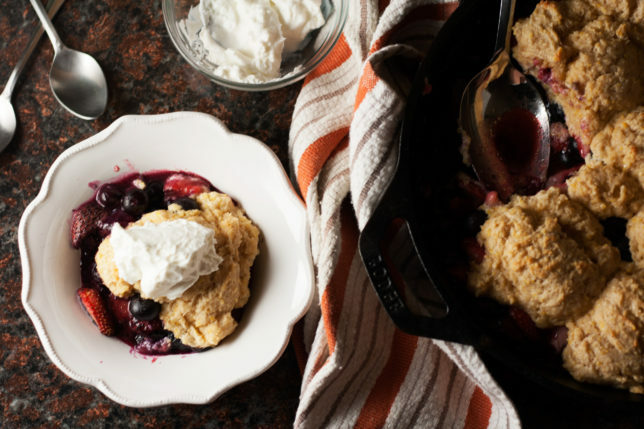 The fella and I split the difference — he circled the scramble (with a sweet potato hash), and I chose the cobbler — with the intention of splitting them, as we had done the day before. We both got the scones, too, of course. We then left the inn again to sit on the empty beach and gaze at the full moon as it lit up the ocean on that warm summer solstice night, tracking the stars and the planets and imagining our future. 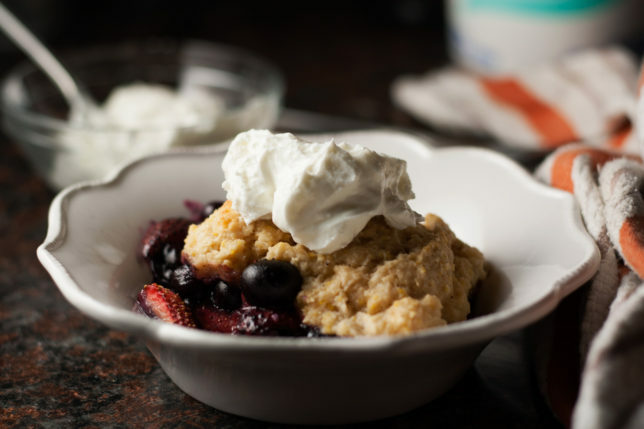 The next morning, we once again sat out on the porch sipping coffee, watching the clouds coalesce and depart, all within spans of moments, and Kate brought out a hot skillet of gorgeous, bubbling berries topped with a golden biscuit topping and a hefty dollop of Greek yogurt. It was easily one of the best fruit breakfasts I’d ever had. Sweet and tart, hearty and whole grain, softened by the pillow of yogurt, all of which helped my brain think that I wasn’t actually just eating dessert in the morning. The only reason I was willing to share was because there was so very much of it — otherwise I wouldn’t have left a drop for anyone else. It was that good. It was, as always, hard to leave the ocean, hard to leave the beach, and hard to leave Kate and now little Lucy, whose infectious smile just made our day, every day. But we were spurred along late that afternoon by spectacular storms that were aiming right for us, and we hopped on a train home just before the worst of it hit our part of the shore. We arrived in midtown Manhattan right in the middle of rush hour, going up against walls of people heading home from their daily grind. Frankly, coming back to New York, to the crush of people, the litter on the sidewalks, always kind of takes the wind out of our sails. But we were happy to snuggle with our kitties, and glad to have brought back little pieces of the ocean in our minds, our hearts, and our noticeably heavier bags. 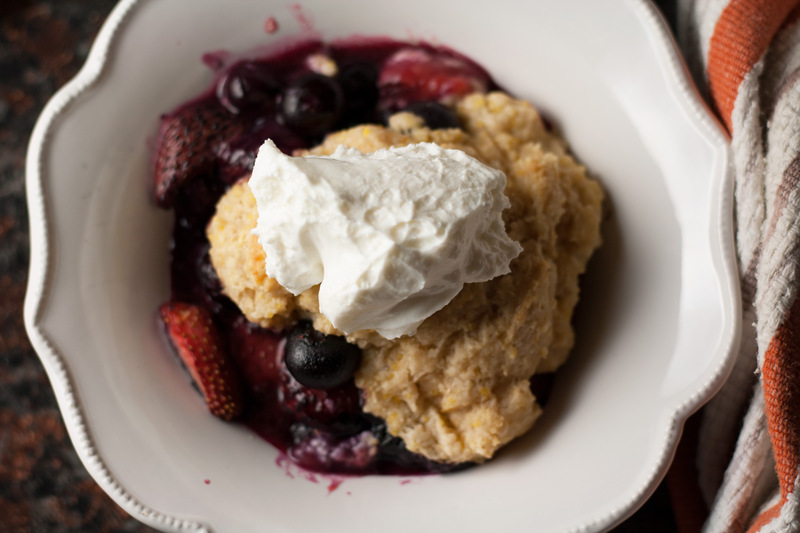 And thankfully, Kate shared her basic recipe for breakfast cobbler with me, so I brought back some inspiration, too. I made this yesterday morning with blueberries and strawberries and a hint of lemon, just to feel that ocean breeze on my skin a little longer, right in the middle of New York City. 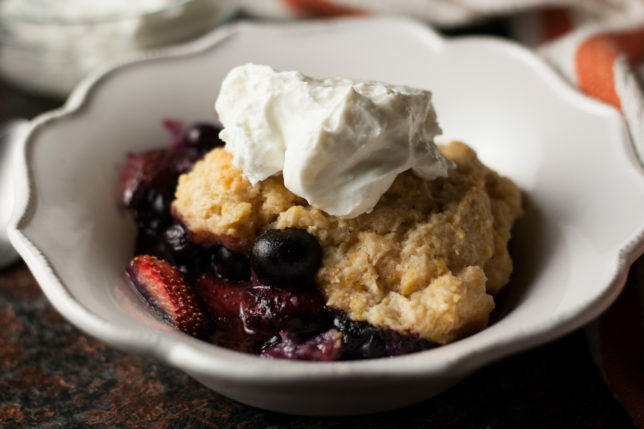 The original recipe, from Megan Gordon’s Whole-Grain Mornings, is a peach breakfast cobbler recipe, so really, this is entirely adaptable. You’ll just need to adjust perhaps the sugar content and the thickener (here, it’s flour) according to the fruit you’re using. I stuck to the original recipe, which calls for 3 tablespoons of flour, but truth be told it was a little runny. Then again, it’s not a pie, so the juice was quite welcome with the biscuits and the Greek yogurt. It’s also delicious with vanilla ice cream. A couple of additional notes: the original recipe calls for fine ground cornmeal, which I could not find. Instead I used a medium ground, which simply made it a bit more toothsome. It actually paired really nicely with the berries but if I do find the fine, that’s what I’ll likely use in the future. I baked this in a 10-inch cast iron skillet, but it would also bake up beautifully in a 2 quart baking dish. To cut down on prep time in the morning, Megan suggests preparing your dry ingredients the night before. Preheat oven to 375 degrees and lightly butter a 10-inch cast iron skillet or 2-quart baking dish. 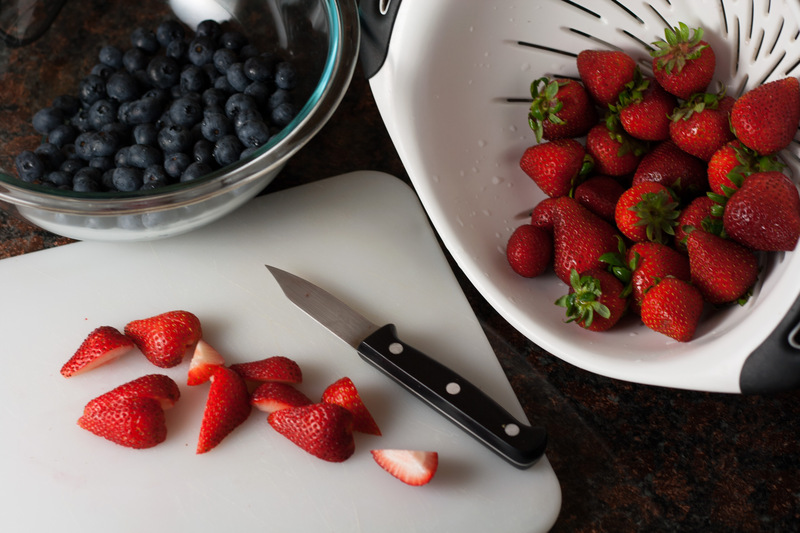 If using strawberries, hull and slice into quarters. 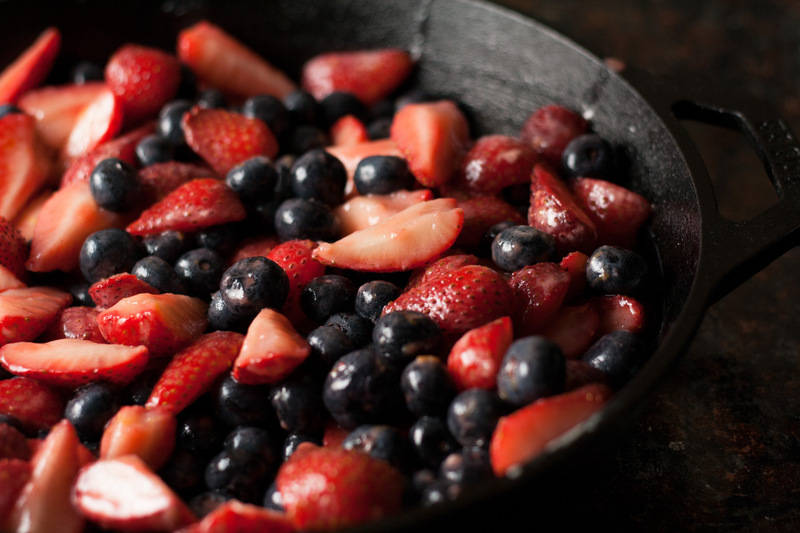 Other berries can be left whole. 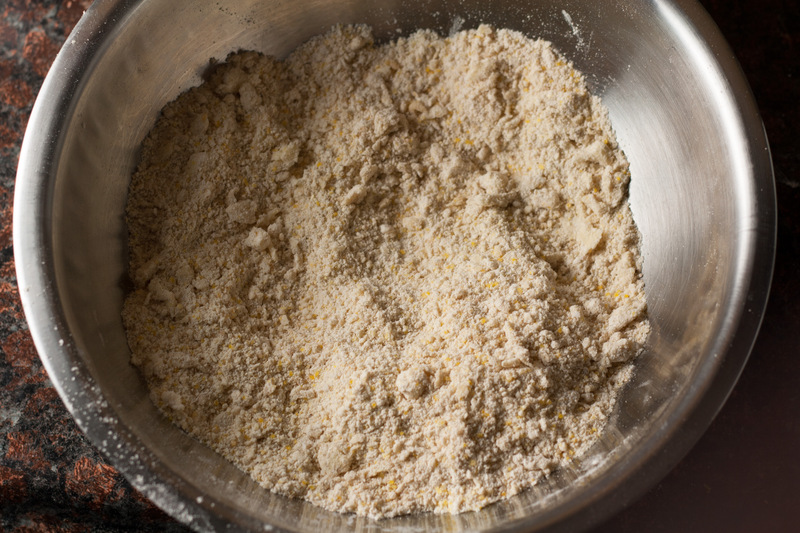 In a large bowl, toss with sugar, lemon zest, lemon juice, flour and salt, and set aside until the sugar has begun to dissolve, about 10 minutes. 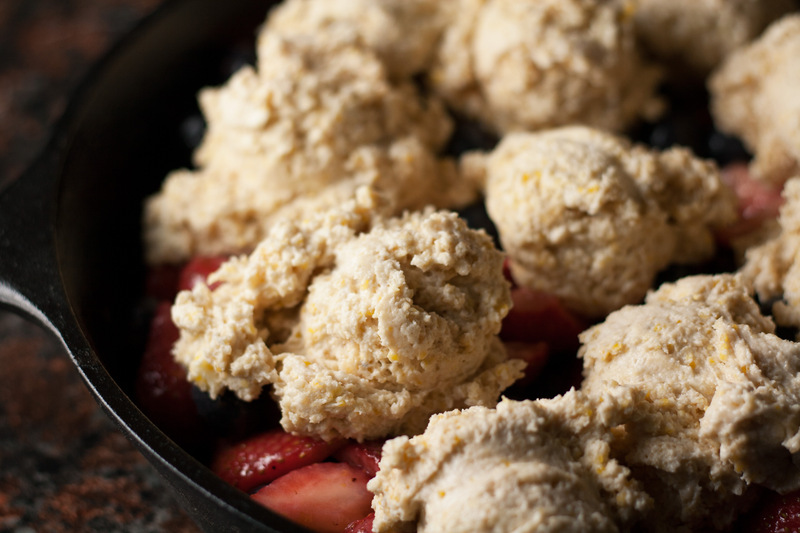 Make the biscuits: In another large bowl, whisk together the flours, cornmeal, sugar, baking powder, and salt. Add the butter and incorporate with your fingers until the mixture is the consistency of a coarse meal (a few pea-sized pieces are just fine). Add the yogurt and buttermilk and stir until the dough just comes together. 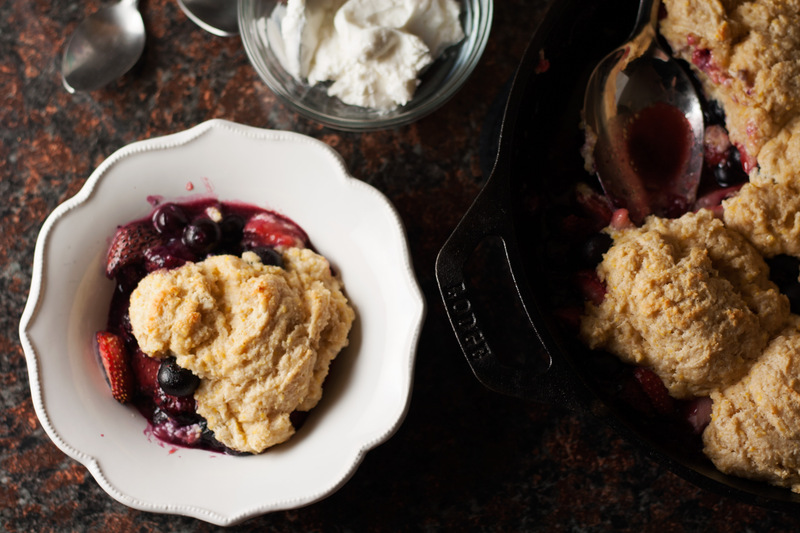 Pour the berries into the prepared pan, and drop small mounds of dough, about 3 tablespoons each, onto the fruit (you don’t need to be precise — it’s rustic!). 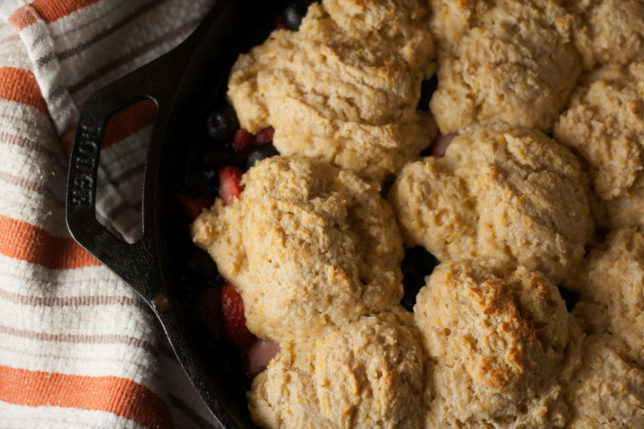 Bake until the biscuits are golden brown on top and the fruit is bubbling, about 30-40 minutes. Let cool 20 minutes before serving. Enjoy warm or at room temperature with a dollop of Greek yogurt.